I am interested in 107 Rollingwood Dr, Brampton, ON. 107 Rollingwood Dr is a - square foot House for sale in Brampton, ON L6Y5P9. It has 6 beds, 5 baths and was listed on Ovlix.com since April 15, 2019 by Re/max Realty Specialists Inc. for $819,000. Listing agent: Sukhvinder Singh. 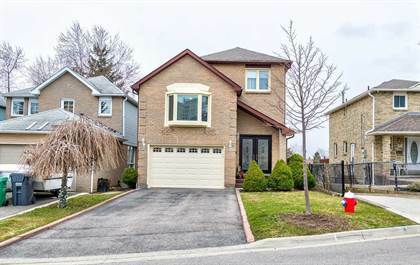 The average price for similar 107 Rollingwood Dr real estate listings - $1,279,296 which is 34% higher than $840,311 for Brampton, and 36% higher than $988,482 for Ontario. Comparable nearby homes are: 22 Hedgerow Ave, 46 Elizabeth St S, 126 Bartley Bull Pkwy, 12 Gruenwald Gate, 77 Cornwall Rd. What's near 107 Rollingwood Dr, Brampton L6Y: St. Augustine Catholic Secondary School, Sir Wilfrid Laurier Public School, Mandarin Restaurant, Brampton Centennial Secondary School shooting, Brampton Centennial Secondary School, Holiday Inn Hotel & Suites Mississauga, Tokyo Maki Sushi, Meadowvale, Ontario, Brampton Mall.